Connecting to your web hotel through FTP and having problems listing folders and files? 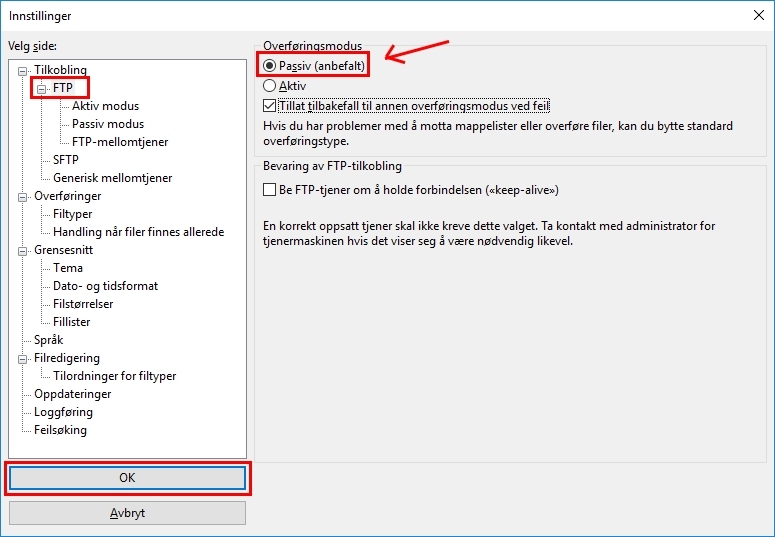 Your FTP client may have been configured to use «Active mode» instead of «Passive mode». 1. Select «Edit» and «Settings» on the menu. 2. Select «FTP» and check «Passive (recommended)» mode (red arrow). Click «OK» to save. Try connecting to the server again.